Berlin is one of the thriving startup hubs in Europe. While the city is home to many startups, companies and entrepreneurs, there are numerous freelancers and creative minds over here. To lay a platform for the local talent, several companies in the co-working spaces sector have made their way to Berlin. For entry-level startups and entrepreneurs and fresh talents, a supportive and comfortable co-working space is something that will help them nurture more ideas and build contacts. So, here we have come up with a quick list of co-working spaces in Berlin. If you are looking forward to work with some new work buddies, then you should be heading on to one of them. Factory Berlin is a community space and initiative founded in Berlin in 2011 by Jeremias Wolf, Lukas Kampfmann, Niclas Rohrwacher, Philipp Scharff, Simon Schaefer and Udo Schloemer. It focuses on both design and entrepreneurship. It provides co-working and event spaces for freelancers and startups. It operates in collaboration with corporates such as Deutsche Bank, Audi and Siemens. It also offers incubation and other services for other members of its community. Ahoy! Berlin was co-founded in 2012 by Nikita Roshkow and Nikolas Woischnik. 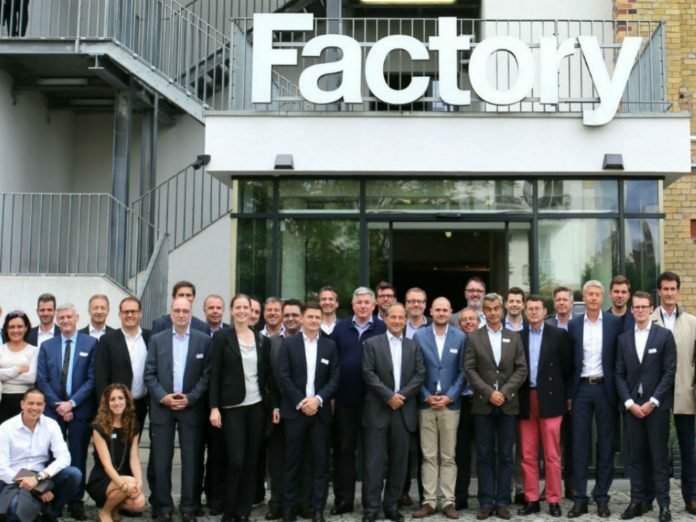 Aboy located in Berlin’s Mitte district has clients including Daimler-backed Fleetboard Innovation Hub and Bringmeister, an online food delivery service. A few months back, this workspace operator was acquired by Knotel for $70 million marking the latter’s expansion in Europe. Established in 2017 Elisabeth von Stackelberg and Maria-Victoria Teicke, HeartSpace is designed to offer a flexible office environment. It offers a working environment that is intervened with personal life. It is aimed at those who want more than just a workspace as it has a thriving community. It is a family-run coworking space that lets you create, feel and celebrate at home. Mindspace is a coworking startup based in Tel Aviv. Founded in 2013 by Dan Zakai and Yotam Alroy, it offers shared workspaces and meeting rooms for businesses, startups and entrepreneurs. It offers beautiful and inspiring workspaces for teams of all sizes. These workspaces have meeting rooms, curated design, dedicated services and communal kitchens. As of now, this coworking startup raised €13.7 million funding. Founded in 2010 by Adam Neumann and Miguel McKelvey, WeWork is one of the popular coworking spaces across the world. They have buildings in several countries and offer friendlier, chilled out and productive workspaces. The clients can enjoy facilities including events, workshops and yoga sessions at WeWork. Till date, WeWork has raised €10.3 billion total funding from several inventors such as SoftBank, JP Morgan Chase, Goldman Sachs and others. betahaus is a coworking startup founded in 2009 by Christoph Fahle, Madeleine Gummer von Mohl and Maximilian von der Ahé. It was established with the intention to create a workspace for people to work on their own projects and exchange ideas, knowledge and inspiration. It is one of the leading coworking spaces in Berlin and has a networking spanning across Sofia, Hamburg, Barcelona and many more. Did you know you can post your job for free on our job board? If you require extra promotion, reach out to remco@siliconcanals.nl for a discounted offer.